HOME PAGE | Scalable Systems Co., Ltd.
Scalable Systems was established in June, 2005, to provide technology consultations to our customers. There would not just be risks of investing in technologies, but also they would be caused by not investing in them. It is required for organizations to choose the most appropriate timing for investment, not too early and not too late. And also company-wide unity is required for large projects and strategic business negotiation as well as appropriate technical advices, which are key factors for success. by Scalable Systems Co., Ltd. Accelerating breakthrough ideas requires high performance and productivity systems. Scalable Systems addresses this requirement with our products. 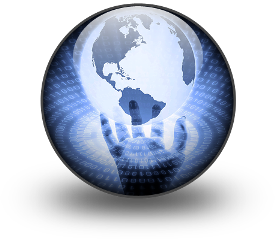 We support our customers with technology consultations for effective introductions of scalable systems in these various business situations. 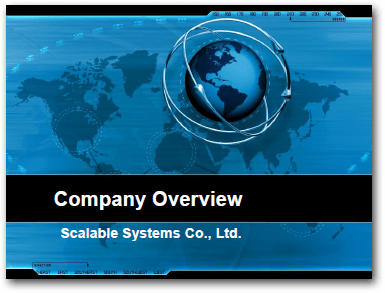 Our company name, "Scalable Systems", represents our aim toward scalable high performance and high productivity systems. With the rapid adoption of scalable systems for high-end computing in the enterprise, a high-security and robust scalable platform that is easy to use, manage and operate has become critical. And these scalable systems are required to high performance and high productivity. We call the system which meets these two requirements - High Performance and High Productivity Computing - HP2C system. Accelerating breakthrough ideas requires high performance and high productivity systems along with a high-security and robust operating environment designed for high efficiency. Scalable Systems addresses this requirement with our HP2C concept. We free our customers from complicated management of systems and let them focus on their original tasks. Scalable Systems is selling high value-added products. We are thinking basis of high value-added products is "a unique technology and innovation". For our business, we are working to enhance the competitiveness of business, but also to enhance the technology to understand the needs of market. We must go there to conduct product development and marketing needs. We have limited resources and it aims to concentrate management resources on a specific market. Our target market is niche, but this niche market is very important and having high value. Maximizing the benefits of flexibility, the company aims to grow in a specific market. HP2C products challenge is 'to pick three of them'. You are given the options of Faster, Better at Lower Cost, and told to pick any two. Here Faster refers to the time required to deliver the product, Better is the quality of the final product, and Low Cost refers to the total cost of designing and building the product. This triangle reflects the fact that the three properties of a project are interrelated, and it is not possible to optimize all three – one will always suffer.